Reusable shopping bags are good for the environment, but how many can help you to speed up your shopping time? 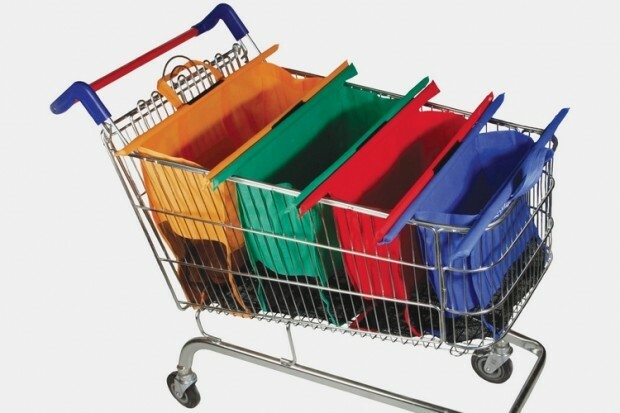 These Trolley Bags can be filled with all of your items and and also function as an upright shopping cart divider, making it easier to pack your things at checkout. It’s like a grocery cart filing system. The four individual bags are held together by Velcro, which lets you easily organize groceries right on the shopping cart. They also come apart quickly once you’re loading the bags onto your car. This should make shopping much more streamlined. 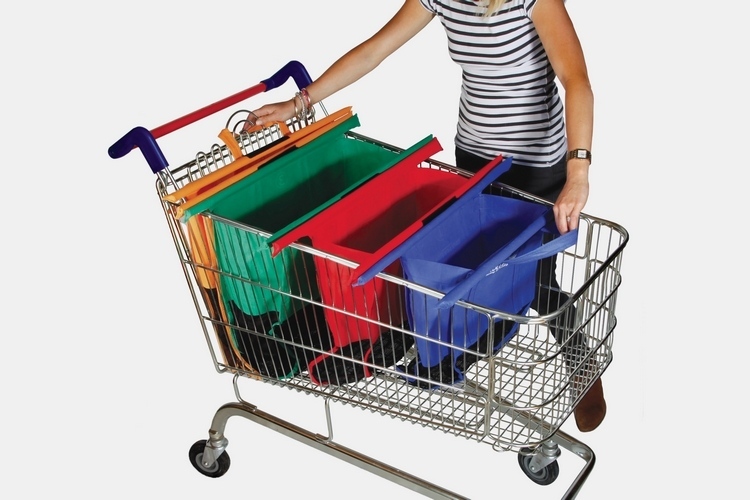 This system lets you rack four bags for simultaneous packing using two free hands. They come in four colors so you can color code your items if you want. It’s not cheap though – the set of bags will set you back $79.99(USD).